Kinetik In-Line tub KN, door and panel now includes Microtek by Fleurco at no extra charge! Microtek Glass Protector is a unique water repellent coating to offer easy maintenance and a hygenic enviroment, protecting your glass for up to 10 years. If you are renovating, redesigning your bathroom or simply needing a new shower door, let Fleurco Shower Door Kinetik In-line tub (KN) add class and style to your Bathroom. 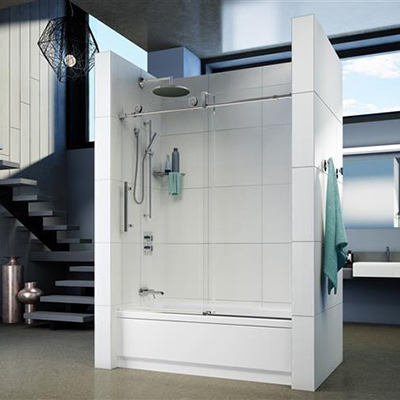 And so, if you are looking for a quality shower door at an affordable price, consider Fleurco Shower Door Kinetik In-line tub (KN) from Bliss Bath & Kitchen.